During World War II there was a shortage of gasoline and folks got creative about fueling automobiles. 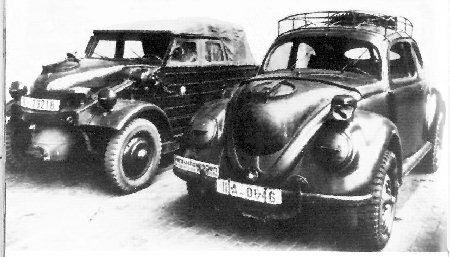 Biomass was available so autos were fitted with what were called 'gasifiers' to fuel their cars. A container is filled with wood chips or any other suitable crop waste and burned in a reduced oxygen environment to create a gas that is suitable as fuel for an internal combustion engine. When the time comes my first project will be to gasify a 3.5kw generator. 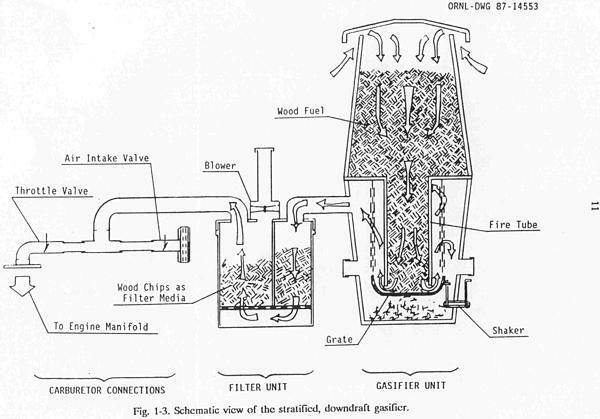 This will be a rather small gasifier and relatively easy to fabricate. There are a lot of good citations at the bottom. Copyright © 1996 - 2008, Highlands Electronics All Rights Reserved.